The College of Business Dean's External Advisory Board is an active group of business professionals who serve as consultants to the dean, faculty and staff of the College of Business. They support the dean and his staff by bringing the perspective of the business community into the College and act as a sounding board and resource to help and support in any way they can. Members address and make recommendations on strategic planning, the curriculum, development and other critical issues. The Board meets twice a year. Larry Bailey received his B.S. in accounting in 1972. He also completed his MBA with a concentration in finance at the University of Pennsylvania’s Wharton School in 1976. Bailey is a licensed CPA with more than 26 years of public accountancy experience and is a former partner with two international public accounting firms, in addition to being a former Internal Revenue Service agent. 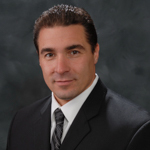 Since 2002, he has served as president of LDB Consulting, Inc. Through his company, Mr. Bailey provides strategic financial and tax consulting services to corporations, small business and private individuals. From 1991 to 2002, he was a partner with PricewaterhouseCoopers, responsible for providing financial, accounting and tax services to quasi-government, corporate, partnerships, sports franchises and individual clients. From 1976 to 1991, Mr. Bailey was a partner with KPMG Peat Marwick, providing tax and consulting services to financial institutions, insurance companies, energy companies, real estate, government contractors, investment companies, manufacturers and individuals. Bailey was honored with the Distinguished Service Award at the 2012 spring commencement ceremony. Sean Boston, a former Chicago resident, received his B.S. in marketing in 1992. 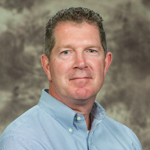 He recently served as the director of strategic marketing for Illinois Tool Works (ITW) Food Equipment Group-Service, a global company operating in 52 countries. 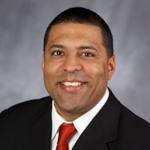 Previously, Boston served as vice president general manager -DieHard, vice president of Channel Management-Brands, and division vice president-procurement – all at Sears Holdings Management Corporation. Before joining Sears, he was a senior director at Motorola Inc., was part of the consumer segment marketing division at Bank of America, and held several key positions at ABC Radio Networks and Chrysler Corporation. Boston has been quite active at his alma mater since graduation. 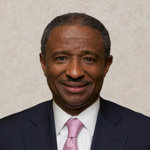 He currently serves on the SIU College of Business Dean’s External Advisory Board and Business Minority Advisory Board. He has also served as a guest lecturer and was inducted into the College of Business Hall of Fame in 2008. He and his wife, Karyn, established the Sean and Karyn Boston Business Scholarship Endowment at the University. Betty Brennan earned a B.S. in marketing from SIU in 1989. She is co-founder, owner, and president of Taylor Studios, Inc, a custom exhibit design and fabrication firm specializing in natural history exhibits for museums and nature centers. The company has designs and exhibits in hundreds of museums throughout the U.S. Brennan’s first entrepreneurial enterprise came in 1991 in the form of I.M.P.A.C.T., a company that produced educational computer interactives. This enterprise was meshed into Taylor Studios, Inc. in 1992. In 1994, the pull to return to full-time entrepreneurship was unmistakable. More experienced, seasoned and determined, Brennan set upon growing and strengthening Taylor Studios. Brennan was inducted into the College of Business Hall of Fame in 2006. Richard Brodkorb holds BS (1964) and MS (1967) Business degrees from SIU, focusing in Accounting, Industrial Management and Operations Research. 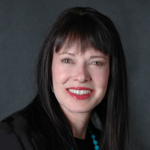 Brodkorb is President of REB Management Company, a professional management consulting firm specializing in performance management, process improvement, earned value and program/project management. Prior, to this Brodkorb served as Vice President and Practice Lead for SM&A, preceded as the founding CEO of Decision Planning Corporation over 20 years; both are management consulting firms. He is a Certified Management Consultant and has lectured at over 20 universities. Brodkorb as serves as an Adjunct Instructor in Program/Project Management at University of California, Irvine. John J. 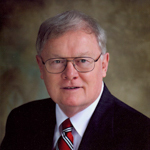 “Jack” Buckley, Jr. is currently serving as the Professor of the Practice with the Texas A&M School of Public Health. 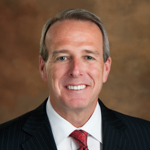 Previously he served as President and CEO of the St. Joseph Health System, Bryan, TX. He has more than 45 years of experience in health care leadership and has worked for a number of Catholic and not-for-profit hospitals and health systems. 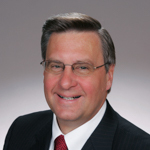 From 1992 to 2001, he served as president and CEO of Southern Illinois Healthcare Enterprises, Carbondale, IL. Buckley was awarded the College of Business Southern Illinois Business Leader of the Year in 1996. Buckley is a recertified fellow in the American College of Healthcare Executives and a member of the American Hospital Association, the National Association of Health Series Executives, and the National Association of the Latino Healthcare Leaders. Buckley also served on various task forces and as chair of the Board of the Illinois Hospital & Health System Association (IHHA). David Depkon received a B.S. in marketing from SIU in 1985. Depkon serves as vice president, supply management operations at Hilton Worldwide. In this role he supervises regional purchasing offices and brand directors and negotiates all corporate food, beverage and operational supplies system contracts within the Hilton Hotels system. Depkon joined Hilton in 1986 as a participant in the Hilton Professional Development Program before becoming a purchasing coordinator at the Hilton Washington. Depkon was soon promoted to director of purchasing and served in this capacity at several Hilton properties. In 1993, Depkon was promoted to director of central purchasing in Washington, DC and in 1995 moved to Chicago in the same role. Depkon become regional director of purchasing in 1997 and was promoted in 1999 to corporate director of purchasing operations for Hilton Hotels Corp. 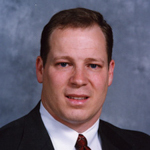 In 2001, he was named vice president of purchasing operations. Depkon, a certified purchasing manager, is a past president of the Institute of Supply Management (ISM) – Chicago (2002-2003). Ray Griffith received his B.S. in marketing in 1975 from SIU. He is the former president and CEO of Ace Hardware. Based in Oak Brook, Illinois, Ace is the largest retailer-owned corporation in the hardware industry with 4600 stores in all 50 states and 60 countries. In 2006, under Ray’s leadership, Ace had its best sales year since 1998, with wholesale sales up 6.5 percent to $3.9 billion and a record bottom line exceeding $94 million. 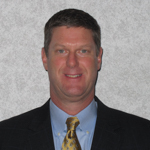 He joined Ace in 1994 as a director of retail operations for the Western Division. Prior to joining Ace, Ray was president of Coast to Coast. Ray is a board member of the Hardware Group Association and a member of the Good Shepherd Lutheran Church. In 2008, Griffith was named the College of Business Executive of the Year. Kenneth Hannah earned a B.S. in finance from SIU in 1990. He served as executive vice president and chief financial officer for J.C. Penney from 2012-2014. Prior to joining J.C. Penney, Mr. Hannah served as an executive vice president and president of Solar Energy at MEMC Electronic Materials, Inc., a world leader in semiconductor and solar technology. Mr. Hannah served as chief financial officer of MEMC Electronic Materials Inc. Hannah was named one of Treasury & Risk magazine’s 2007 “Top 40 Executives Under 40.” He was profiled in an October cover story titled “Upwardly Mobile Finance Execs” which named “Corporate America’s rising finance stars under the age of 40.” Hannah became a member of the College of Business Hall of Fame in 2002, delivered the commencement address in 2002 and served as master of ceremonies during the 2008 Hall of Fame banquet. Thomas D. Harmon received an MBA from SIU in 1994. In 2016, Harmon joined St. Louis Commerce Bank as executive vice president and chief operating officer of commercial banking. Harmon has more than 20 years of commercial banking experience, most recently serving as St. Louis market president of The PrivateBank and Trust Company where he led the commercial banking team and oversaw the coordinated delivery of commercial, commercial real estate, private wealth and community banking services in the market. He rejoined The PrivateBank in 2014 after spending three years as president of Legacy Pharmaceutical Packaging in St. Louis. His previous position with First Bank included management of the bank’s Leverage Finance Group. Prior to First Bank, Harmon worked for ten years for LaSalle Bank as a commercial lender. Harmon earned his CFA designation in 2005 and is treasurer of the St. Louis Independence Center. In 2006, Harmon was selected for ABM AMRO’s High Potential Program – Hong Kong and the Netherlands. John Heakin received his B.S. in marketing in 1971. 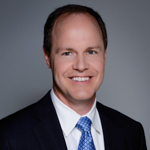 Heakin founded North American Insights, a consumer interviewing service, in 2001 after a twenty-seven year career as vice president of Heakin Research, Inc., America’s second largest marketing research interviewing service. While at Heakin Research Inc., Heakin won the Marketing Research Association's President's Award for Service to the Industry in 1981, the MRA's highest honor at the time. Heakin Research was selected as a winner of the Chicago Best Small Business Award presented by the University of Illinois-Chicago from 1984-1988 and 1990. Heakin remains active with the College of Business as member of the Marketing External Advisory Board, where he served as the inaugural chair and was instrumental in forming the Marketing Leadership Program. He served on the Dean’s External Advisory Board from 2000-2007 and is a member of the College of Business Hall of Fame as well as the Henry J. Rehn Society. Heakin is one of just four Marketing Alumni selected as Distinguished Alumni by the Alumni Association, its highest honor. 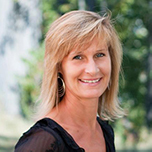 Karen Bedwell Herhahn is a financial representative for Northwestern Mutual Financial Network. 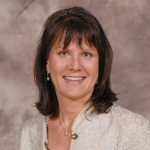 After college, Herhahn accepted a position with the University of Colorado Medical Center as the director of the Otitis Media Project where she oversaw a complete hearing/diagnostic medical team offering surgical repair/hearing aid assistance to the Navajo Indian Tribe. Then Herhahn became director of National Otology Training Programs for the Indian Health Service. In 2003, Herhahn was inducted into the Henry J. Rehn Society. Herhahn and her mother, Elnora, are the driving force behind the R. Ralph Bedwell Memorial Fund for Small Business Development. The fund was created in memory of her father Ralph Bedwell and supports seminars for the small business community throughout southern Illinois. Kenneth J. Hull earned a B.S. in accounting in 1958 from SIU. 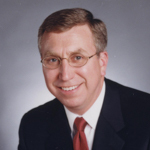 He is the retired chairman and CEO of Follett Corporation, a leading retailer and wholesaler of educational materials. Hull had been vice president of finance and chief financial officer, division controller, corporate controller and treasurer prior to his election as chairman, president and CEO in 1997. Hull is a member of the College of Business Hall of Fame and Henry J. Rehn Society. Hull currently serves on the Board of Northwestern Publishing House, CPA Endowment of Illinois, Jane Addams Mr. Hull House Foundation, and Gottlieb Memorial Hospital. 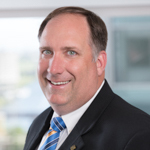 Previously, he had served terms as president of the Illinois CPA Society, CPA’s for the Public Interest and as a member of the American Institute of CPA’s governing council. Elizabeth F. Kepuraitis received a B.S. in accounting in 1981 from SIU. She is the retired president of F&B Manufacturing Company in Phoenix, Arizona. She was hired as the chief financial officer in 1993 and then became the president in 1997. Prior to joining F&B Manufacturing Company in 1993, Kepuraitis worked for Bradley Printing, a subsidiary of World Color Press, as the chief financial officer. From 1981 to 1999 she worked for Deloitte & Touché as a senior audit manager. She also completed various management programs at Dartmouth University’s Amos Tuck School of Business Administration and she is a certified public accountant. Kepuraitis was inducted into the College of Business Hall of Fame in 2008. Richard W. Klassen earned a B.S. in marketing in 1975 from SIU. He is the retired chief marketing and sales officer of Delta Dental of Missouri where he was responsible for all of Delta’s sales and marketing Initiatives. Klassen’s focus has been on the strategic alignment of the corporation within the employee benefits market dealing with companies of 10 employees up to Fortune 500 companies including the St Louis Cardinals, Enterprise Rent-A-Car, Boeing, and Anheuser-Busch. Klassen is a member of the College of Business Hall of Fame. Klassen is a member of the Better Business Bureau Board, the SIU Department of Marketing External Advisory Board and the personnel committee for Ladue Chapel. He also participates in the St Louis Ambassadors and Regional Commerce and Growth Association. Greg A. Lee received a B.S. in marketing from SIU in 1972. He is currently an independent consultant. Prior to this, he was senior vice president of Human Resources for Motorola Communications. He has more than 20 years of leadership experience in human resources, having started his career with PepsiCo., Inc. in 1983. 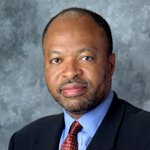 Lee has served as senior vice president, Human Resources for Coca-Cola Enterprises, Inc. (CCE) where his main priority was to provide CCE’s 73,000 global employees with tools and training. Lee has also served as Senior Vice President, Human Resources for Sears, Roebuck and Company, Whirlpool Corporation, and at The St. Paul Companies from 1993 to 1998. Lee was inducted into the College of Business Hall of Fame in 2004 and served as commencement speaker in 2008. Gray M. Magee, Jr. earned a B.S. in management in 1963 from SIU. He is chief executive officer of American Heartland Fish Products. Previously he as the president of Specialty Alloys Corporation, a company he founded in 1976. Specialty Alloys produced briquetted ferro-alloys used in the melting of steel and iron by steel companies and foundries throughout the U.S. and Mexico. The company was one of the largest briquette producers nationwide. Magee is also owner and chairman of M.B. Industries which processes all the copper slag produced by Southwire Corporation. 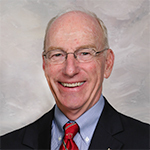 Magee is a member of the College of Business Hall of Fame and the Henry J. Rehn Society. In 1998, he delivered the commencement address. Mary Mechler received her B.S. in marketing from SIU Carbondale and her MBA from SIU Edwardsville. Mechler is a top line growth coach at the Illinois Manufacturing Excellence Center at SIU, providing marketing and growth consulting services to manufacturers throughout the state of Illinois. Previously, she was an entrepreneurship counselor at the Small Business Development Center at SIU. Mechler also served for three years as president of SIETC Solutions, Inc., an internet based e-commerce company, formed in 2009. Mechler was vice president of marketing at SchoolCenter, a software development company in Carbondale, from 2006-2009. 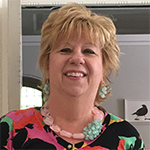 She worked for The Southern Illinoisan Newspaper from 1986 to 2006, holding various positions, including advertising manager, direct marketing manager and human resources manager. She is a past president of the Carbondale Chamber of Commerce, , the Carbondale Convention and Tourism Board, has served on the Carbondale Community Arts Board and volunteers for The Shawnee Composite Squadron Civil Air Patrol and This Able Veteran. In addition to her role on the Dean’s External Advisory Board, Mechler serves on the Department of Marketing Advisory Board since 2004 holding various positions including board secretary, vice chair and chair. F. Lynn McPheeters received a B.S. in accounting at SIU in 1964. 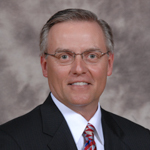 He is the retired vice president and chief financial officer for the Corporate Services Division of Caterpillar, Inc. McPheeters joined Caterpillar as an accounting trainee. In 1973, he moved to Switzerland to serve in a financial management position with Caterpillar overseas. McPheeters has also worked in Tokyo for Caterpillar Mitsubishi and in Hong Kong at Caterpillar Far East Limited. In 2006, McPheeters and his wife, Susan, established the F. Lynn and Susan F. McPheeters Charitable Remainder Trust. In 2004, McPheeters was the commencement speaker and became a member of the Henry J. Rehn Society in 1999. McPheeters was inducted into the College of Business Hall of Fame in 1988. Ralph G. Moore received a B.S. in accounting from SIU in 1971. He is president of RGMA Consultants, a management consulting firm founded in 1979. Prior to starting RGMA, Moore was on the accounting staff at Arthur Andersen & Co., served as vice president for a Chicago based Minority Enterprise Small Business Investment Company and was controller for the Parker House Sausage Company. Moore was recognized as “Entrepreneur of the Year" by Inc. Magazine and Ernst & Young. He also received the Minority Business Advocate Award from the Minority Business Committee of the Chicago Minority Business Development Council, the Minority Advocate Award from the Illinois Minority Enterprise Development Week Committee, and the Illinois Minority Small Business Advocate Award from the U.S. Small Business Administration. 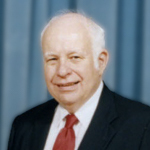 Moore was inducted into the College of Business Hall of Fame in 1994. Richard (Rich) Moore received his B.S. in finance in 1987 and his MBA from Bradley University in 1994. Moore is the corporate treasurer for Caterpillar, Inc. a position he has held since January, 2016. In this role, Moore leads a team of treasury professionals at the company headquarters in Peoria, IL as well as at Regional Treasury Centers in Geneva and Singapore. Prior to becoming treasurer, Moore was director of investor relations. Moore joined Caterpillar in 1987 as a finance analyst in corporate treasury. He has held a series of increasingly responsible roles in the company’s treasury and financial management areas at Caterpillar’s Peoria, IL headquarters. From 1994 to 1998, he served internationally in the Latin America Division offices in Santiago, Chile and Sao Paulo, Brazil. In 2001, Moore was named senior funding manager at Caterpillar Financial Services Corporation located in Nashville, TN and in 2005 Moore became European treasurer in Geneva, Switzerland. Richard A. Navarre earned a B.S. in accounting in 1982 from SIU. He is the retired president and chief commercial officer of Peabody Energy Corporation, the world’s largest coal producer and marketer. Navarre also served as Peabody’s chief financial officer and executive vice president of corporate development. Navarre joined the company in 1993 as director of financial planning and has held a series of financial and commercial positions with the company, including president of Peabody's COALSALES, LLC affiliate, president of Peabody Energy Solutions, Inc., vice president of finance and vice president and controller. Navarre is former chairman of the Bituminous Coal Operators' Association. 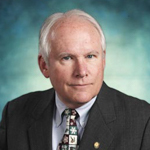 Navarre is a member of the College of Business Hall of Fame and Henry J. Rehn Society. Susie Rashid earned a B.S. in accounting in 1987 from SIU. She is currently a consultant for SWR LLC. She has previously served as chief financial officer and chief administrative officer of Chicago-based Element 79, a leading advertising agency with more than 200 employees, where she worked on high profile accounts such as Gatorade and Pepsi. Element 79’s startup was the largest advertising agency start-up in history. Before joining Element 79, she had positions with Arthur Andersen and Leo Burnett & Co., and served as head of human resources and finance for the executive search firm A.T. Kearney. She has worked in Chicago, Tokyo, and London. While attending SIU, she was a member of the Saluki women's swim team, achieving All-American status. In recognition of her accomplishments, she was elected in 2001 to the Saluki Hall of Fame. Rashid was inducted into the College of Business Hall of Fame in 2008. John M. Renfro earned a B.S. in management in 1982 from SIU. Since 2014, Renfro has served as the senior vice president and chief human resources officer for Capital Group. Capital Group is focused on delivering superior, consistent results for long-term investors using high-conviction portfolios, rigorous research and individual accountability. Capital Group serves individual investors, financial intermediaries and institutions around the world through a broad range of products and services that include American Funds, one of the largest mutual fund families in the US by assets under management. Prior to joining Capital Group, Renfro served as executive vice president & chief human resources officer for AECOM Technology Corporation, an $8-billion global provider of professional technical and management support services. In his role, Renfro leads the company’s worldwide human resources organization and is responsible for driving its global human capital strategy. Prior to joining AECOM, he was vice president of human resources for the Imaging and Printing Group of Hewlett-Packard. Renfro has also served as senior vice president and chief human resources officer for The Walt Disney Company. He was responsible for human resources across Disney and its diverse global business segments, which included Media Networks, Parks and Resorts, Studio Entertainment and Consumer Products and global brands such as ESPN, ABC and The Disney Channel. 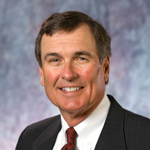 Renfro is a member of the College of Business Hall of Fame and the Henry J. Rehn Society. He delivered the commencement address in 2003. Sunil Sinha earned his M.B.A. from SIU in 1998. He currently serves as the vice president and chief medical officer for BJC Medical Group in St. Louis, MO. He previous served as the chief medical officer for Virginia of JenCare, which is a Medicare Advantage HMO joint venture between Humana and ChenMed Inc. Prior to joining JenCare, Dr. Sinha served as vice president for medical affairs at the Bon Secours Memorial Regional Medical Center. Sinha is board certified by the American Board of Internal Medicine, American Board of Quality Assurance and Utilization Review, American College of Healthcare Executives, and the American College of Physician Executives. He is past regent for Maryland for the American College of Healthcare Executives and elected to a three year term to the Board of Governors (2012-15). He received the CMS Administrator's Achievement Award in 2004 and the Administrator’s Citation Award in 2007. 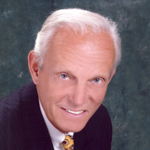 He has served on the American Board of Quality Assurance and Utilization Review Physicians. He was appointed by President Obama to serve a three year term as judge for the Malcolm Baldrige National Quality Award program and was appointed to serve on the editorial board of the Patient Safety and Quality Healthcare journal. He has served on the editorial board of the Journal of Healthcare Management as well. 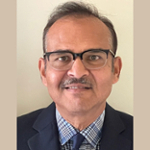 Sinha is a fellow of the American College of Physicians and a senior fellow of the Council for Excellence in Government and the Health Research Education Trust. He completed an Internal Medicine Residency at the Loyola University Medical Center in Chicago, where he served as associate chief resident and was recipient of the Intern of the Year Award. He also received a graduate certificate in Information Systems from the Johns Hopkins University Carey Business School. Robert J. Siracusano earned a B.S. in marketing in 1995 from SIU. 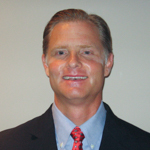 He is senior financial advisor and branch manager of Wells Fargo Advisors Financial Network, LLC. While at SIU, Siracusano was one of the world's top divers and holds school records. He was a member of the U.S. National team for springboard and platform diving through 1996 and he earned 12 All-American NCAA titles. He was inducted into the Saluki Hall of Fame in 2004. In 2007, Siracusano competed in the U.S. Master’s Diving Championships and won the one and three meter boards. In 2008, Siracusano was inducted into the College of Business Hall of Fame. He has also delivered the commencement address. Siracusano is active in the National Association for Multiple Sclerosis, St. Jude’s Children’s Hospital, Kane County Family Services, Boy Scouts of America, Capuchin Food Pantry and Columbia Club of Chicago. Ian Stewart received his B.S. in accounting in 1994 and his MBA in 1999. Stewart joined Presence Health in May 2016 as the system vice president, revenue cycle. To date, he has been successful in turning around the Revenue Cycle Systems performance for Presence Health. He has a special passion for the faith based systems and enjoys the opportunities to serve the patients of Chicagoland. Prior to this role, Stewart served as vice president of business systems, finance and operations with Advocate Medical Group since January 2002 where he lead a staff of 500- 800 and was responsible for $1.3 billion in gross billing and $1.2 billion in total net revenue, including capitation. The patient accounts team totaled $180 million in active accounts receivable and he was also responsible for all revenue cycle activities. Stewart was instrumental in several key business finance initiatives while at Advocate, including consolidation of all individual medical group business offices into a single medical group business systems and revenue cycle business office. Stewart led the acquisitions of more than 800 providers into the medical group on multiple practice management systems, and electronic medical records in 2010 to 2015. He also played a pivotal role in reducing the number of days in accounts receivable while maximizing collections, and increased total collections per invoice. In addition to his revenue cycle activities, Stewart built and managed a new contact center with over 400 FTE’s and six million annual phone calls. The phone center included, nursing triage, patient outreach and patient messaging, appointments, registration, provider messaging, patient reminders and customer service. During his time at SIU, Stewart played basketball for the Salukis and then went on to become a professional athlete. He is a private pilot and a merchant marine captain. Before his retirement, Drew Stoker served as a Contracts & Pricing Manager in International Contracts & Finance in Boeing's Defense, Space & Security (BDS) business unit. He provided contract development and negotiation support to BDS businesses pursuing contract awards with international customers for military aircraft and security programs. Stoker’s career also included significant contracting experience with U.S. Government procurements of Boeing's military aircraft programs. He graduated from Southern Illinois University Carbondale with a B.S. in Finance. Stoker then entered the U.S. Navy for eight years where he was a Naval Aviator. Following the Navy, he went to work for McDonnell Douglas in St. Louis, Missouri in 1982 which merged with The Boeing Company in 1997. Stoker is a participant in the College of Business Mentoring Program and is the College’s representative on the SIU Alumni Association Board. Stoker is active as a Boy Scouts of America volunteer leader where he assists Scouts advance from Life-to-Eagle rank and organizes and plans Boy Scout High Adventure trips. Stoker was inducted into the College of Business Hall of Fame in 2016. Donald E. Welge serves as president and general manager of Gilster-Mary Lee Corporation, a leading private label food manufacturer that produces over 8,000 items in more than 500 private label brands, as well as its own Hospitality label. Welge was named the College of Business Southern Illinois Business Leader of the Year in 1988. Welge was also named Outstanding Citizen of the Year Award by the VFW Post, the LSU Outstanding Senior Boy in the College of Agriculture and the LSU Outstanding Senior Boy in the Department of Agricultural Economics. While at LSU, he received Army Second Lt. commission through the ROTC program and graduated as a Distinguished Military Graduate. Ron Wienstroer earned his master of accountancy from SIU in 2001. Wienstroer is a principal and family CFO at Moneta Group Investment Advisors, an independent financial advisory and wealth management firm. The firm, which is owned by its 39 principals, is the fourth largest Registered Investment Agency in the country, managing over $16 billion in assets. Prior to joining the Moneta Group in 2011, Wienstroer was a tax partner at Ernst & Young where he led federal tax efforts for the Midwest. Wienstroer, began his career at PriceWaterhouse (now PricewaterhouseCoopers) in 1992. 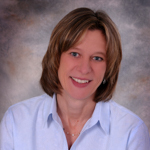 Wienstroer has been a member of the SIU College of Business School of Accountancy Board since 2006. Wienstroer has continued his support of SIU through the Compardo/Wienstroer School of Accounting Endowment Fund. He is a member of the College of Business Rehn Society and a lifelong member of the SIU Alumni Association. Wienstroer serves on the Forsyth School Board of Directors as a member of the Advance Gifts Committee for the school’s capital campaign. He is also a board member for Cardinal Ritter Senior Services and Angels’ Arms, a home for foster children. 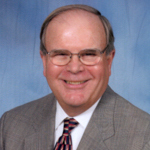 From 2005 through 2009, Mr. Wienstroer served on the Advisory Board of the George Herbert Walker School of Business & Technology at Webster University.